Still not sure if you want to go to Colombia, let alone Cartagena.... Check out 15 photos that will make you want to go to Colombia ASAP. Very similar to Miami, this is the shiny new part of Cartagena. The fort costs 25,000 COP to enter and is great for a history lesson. The views from here are also spectacular and a great place to catch sunset. Centenario Park is between the old town of Cartagena and Getsemani, the newer hipster area. It is a nice spot to relax and also has huge iguanas and cute sloths! Tayrona National Park, is in northern Colombia. The park is a large protected area covering the foothills of the Sierra Nevada de Santa Marta as they meet the Caribbean coast. It’s known for its palm-shaded coves, coastal lagoons, rain forest and rich biodiversity. A bit of a hike from Cartagena, but still doable, don't miss out on Tayrona National Park. It is more popular to use Santa Marta as your jumping off point and I recommend going this route. They all are really pretty and with the old town being quite small you'll probably stumble upon them all. But if you want to hit the best ones Plaza San Pedro Claver, Bolivar Plaza, and Plaza Santa Domingo were my favorites. 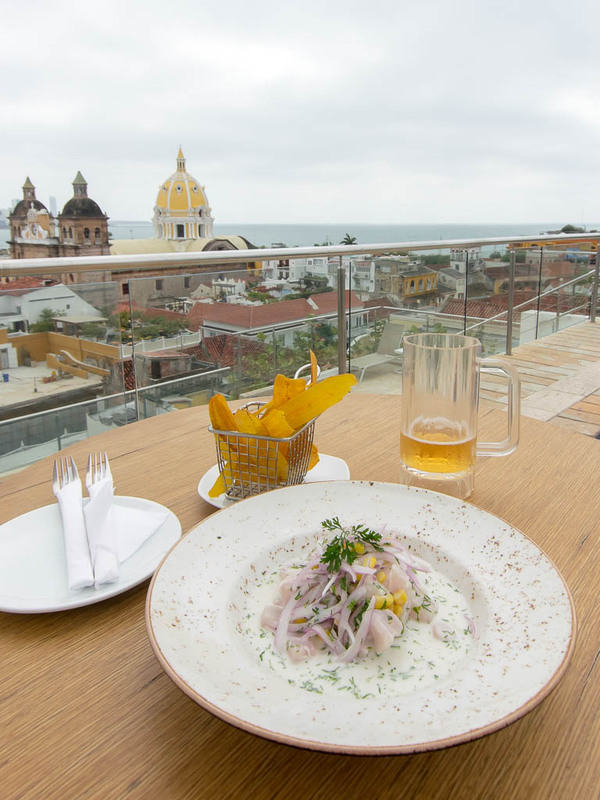 Planning for a trip to Cartagena can be overwhelming. I hope I've made it a little easier.